Isn’t September confusing? Even though it still feels like summer here in New York, once that calendar page turns I step firmly into “fall” mode. At least in my mind. Because it’s still too early for boots and sweaters, and DEFINITELY too warm for heavy-duty comfort food. But I’m pretty much over my summer wardrobe and outdoors-y pursuits. So I tend to gravitate toward a hybrid approach – that is, slowly easing in cool weather clothing to mix in with my summer pieces, and eating meals and treats that have an autumn vibe, without heating up the kitchen. 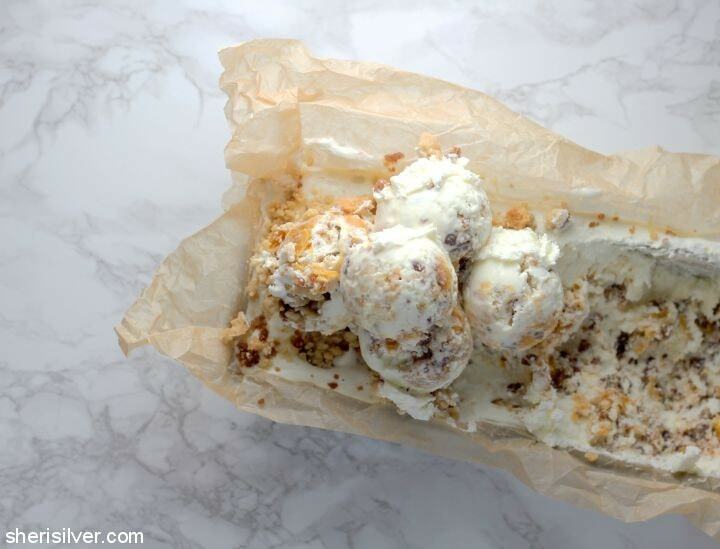 Like this peach cobbler ice cream! 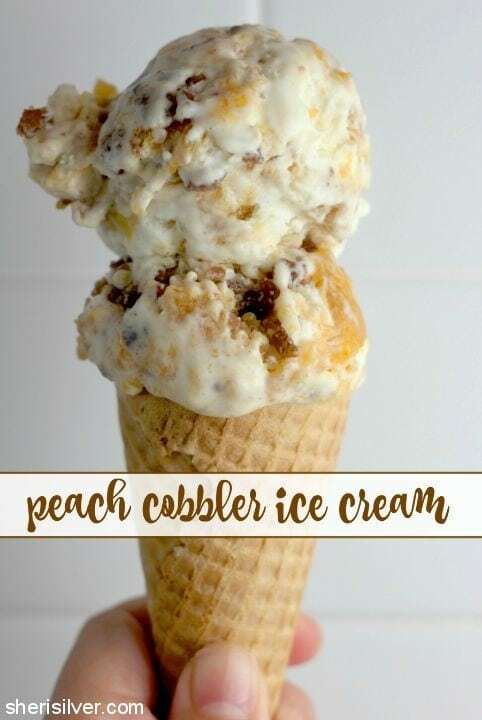 This treat tastes JUST like a classic fruit cobbler topped with ice cream – except all the flavors are IN the ice cream, it’s cold and refreshing, and you’re not going to believe how easy it is to make! 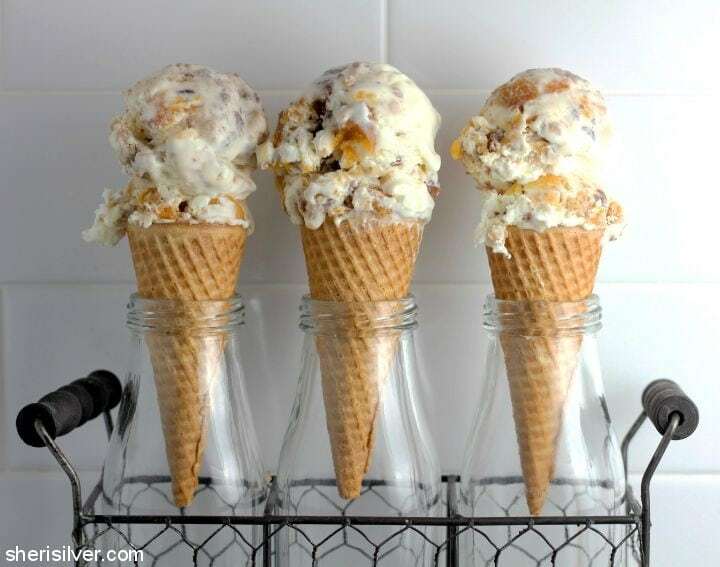 I started with my fave 2-ingredient no-churn ice cream (seen here, here and most recently here), and loaded it up with peaches, my to-die-for streusel and a cinnamon swirl. Just like a proper cobbler. This recipe is super adaptable, so feel free to substitute with your favorite fruit, and frozen fruit will work just as beautifully as fresh. Check out the recipe on SoFabFood right now, and find all of my summertime treats (cause it’s still technically summer for a few more days!) on Pinterest!